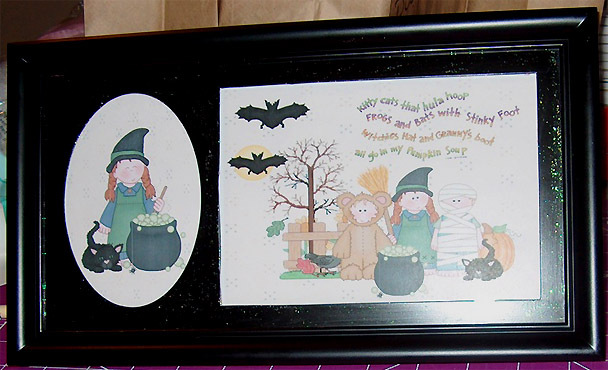 Maria Wright, USA, created this nice frame. The graphics are from CC13: Halloween kids. 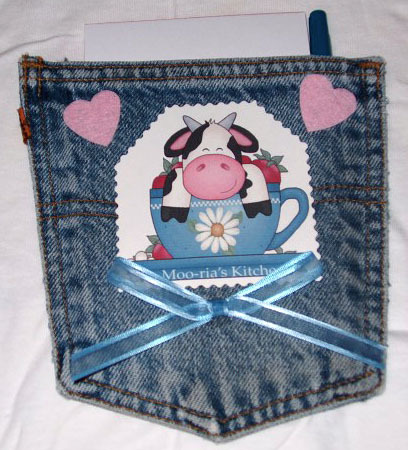 Here is a cute blue jean pocket that Terri created for Maria Wright. The graphic is from CC18: Country Cows.